December 2013 I styled my first party for a magazine. Coming in February Carousel Magazine will feature my styled shoot. Without these vendors that I'll be spot lighting this week, this magazine shoot would not have been possible. Once I had my theme I went right to Swish Printables and asked her to create the printables for me. Donna helped bring my vision to life and really set the tone for the whole shoot. 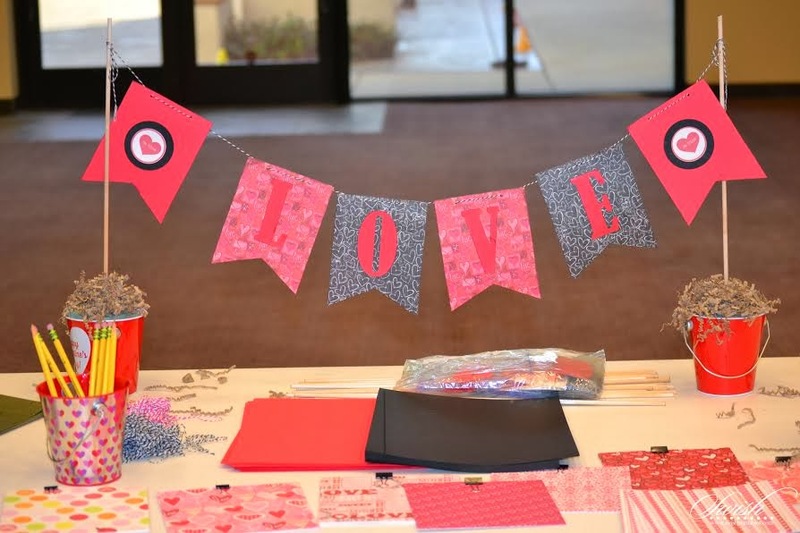 Donna Martin is the Creative Director and Owner of Swish Printables. She is a self-professed party junkie - she loves everything about parties: planning, attending, shopping for, and getting her craft on! She loves it all! Donna opened Swish Printables in 2007 and originally sold wedding printables. 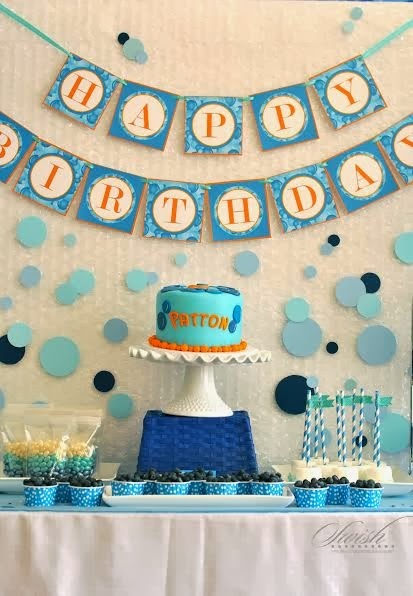 Her business grew and has purposefully morphed into a company that creates party printables for a wide variety of life events. When Donna isn't creating printables and dreaming about parties, she's chasing after her two active kids, taking care of her busy husband, and trying to fit in her zumba classes. 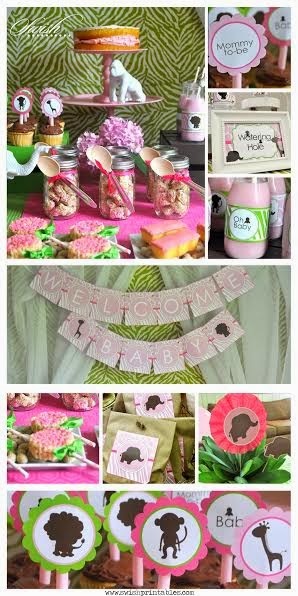 Visit Swish Printables blog for great party ideas. Especially kids parties. 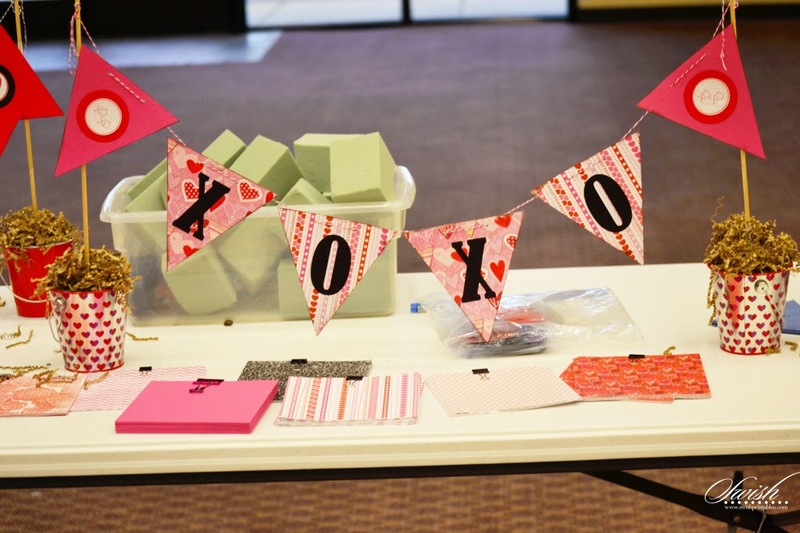 With Valentine's Day coming up, Swish Printables has created three FREE printables for you. Get the printables for this banner here. Need a Valentine for your boy to pass out to his friends without making him feel all sappy? 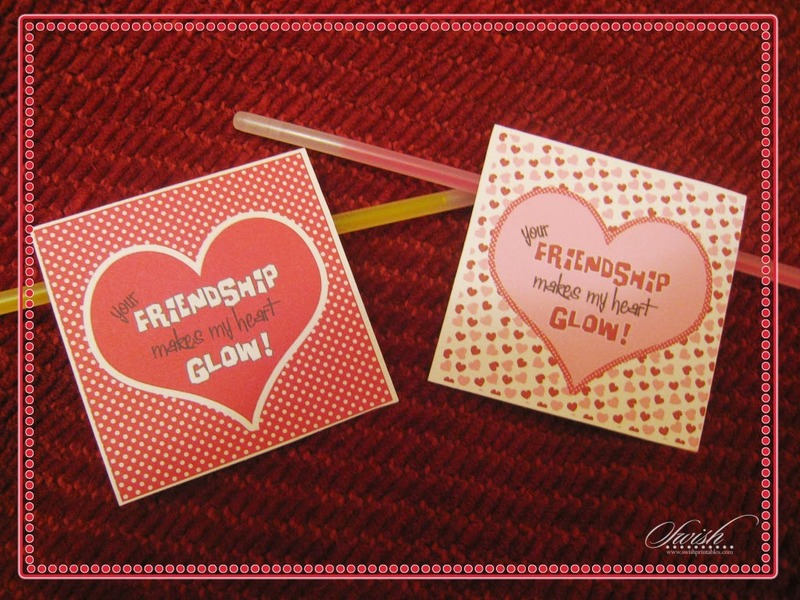 Get yourself some glow sticks, use this FREE printable and your son will put a smile on his friends faces. Remember how fun these sticky hands were when you were a kid? 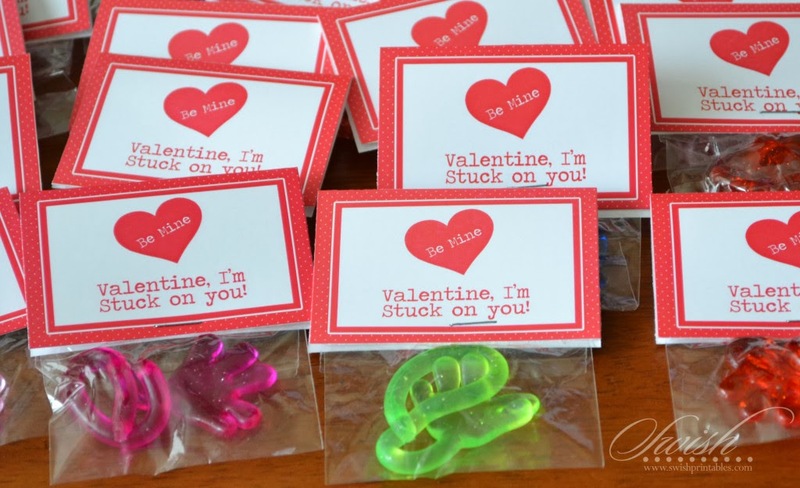 Print out this FREE printable for your kids Valentine's sticky hands to take to school or give to their friends.